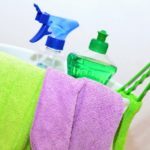 Free, No-Obligation Window Cleaning Estimates! It’s impossible to have a home without a roof. While your roof shields you from strong winds, heavy rains, and other unfavorable conditions, it takes a beating, and becomes worn down. You have to care for your roof like you would any other part of your home. Your gutters play an important role in roof maintenance and overall maintenance for your home. 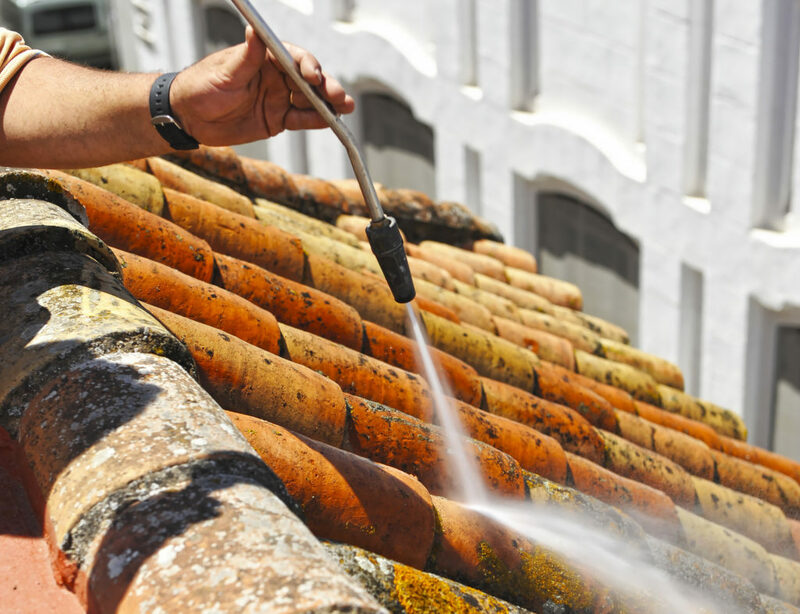 Roof and gutter cleaning are essential for many reasons. Black roofs are common, especially in places where it is humid. The weather conditions of Florida give roof algae the perfect breeding conditions. As time progresses, more algae will grow, putting more stress on your roof. The black roof issue can be corrected and prevented by regularly having your roof cleaned by professionals. Mold and mildew destroy the roof of your home. Your health is greatly impacted by these fungi. Mildew is mold in its early stages. These fungi can cause congestion, wheezing, throat irritation, rash, severe cough, and serious respiratory issues. You may experience all of these symptoms, none of them or more than the listed symptoms. Being exposed to mold and mildew have short-term and long term effects. A rotting roof is not good whether you plan to sell your home or not, and it’s not good for curb appeal. A rotting roof will eventually cave in, exposing you to the outside elements, if it is not properly taken care of. The best ways to prevent roof rot is to have clean, functional gutters, and changing the building material where places of your home tend to rot. A rotting roof can become expensive to fix if you wait too long, and as a result, will have to replace the entire roof. Gutter cleaning is just as important as cleaning your roof. Unfavorable weather conditions can clog your gutters and cause further problems. Although cleaning your gutters is a chore, it has to be done. Hire a professional to complete this frustrating and time-consuming task. How Do Dirty Gutters Affect My Home? The most common problems caused by dirty gutters are rot and issues with your foundation. Rot occurs when your gutters are full and the water has nowhere to go but down the side of your home. Over time, this flowing water will cause the siding of your home to become discolored, stained, and eventually rot. Let us help you clean your roof and gutters and make it look brand new. Contact us today and get a no obligation quote.